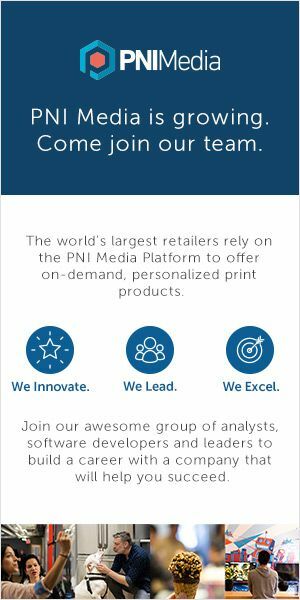 Vancouver, BC, October 10, 2018--(T-Net)--Visier, a leader in people analytics and planning, announced a first-of-its-kind capability that enables leaders to visually conceptualize and interactively explore their organization's hierarchies. Which teams have a retention problem? Which teams are losing a high proportion of top performers? What is the span of control for managers in the organization? Which managers have a large number of top performers on their team? Which teams have a high proportion of low tenure employees? "An organization's design can make or break its performance in today's climate of ever-changing markets. Yet, while many leaders recognize this and are rethinking the design of their organization, they have lacked insight into the current composition of their company," explains Adam Binnie, Visier's Chief Product Officer. "With Visier People's Organization visualization, business leaders, people managers, and HR Business Partners can now spot the trends, areas of concern, and jump to the details they need to take informed action with ease." Visier People's Organization visualization presents the rich organization and people information that resides in Visier in an easy-to-understand visual, providing at-a-glance insights about topics such as team makeup and relative size, as well as the ability to overlay additional metrics, such as performance, tenure, and risk of exit, in real time. 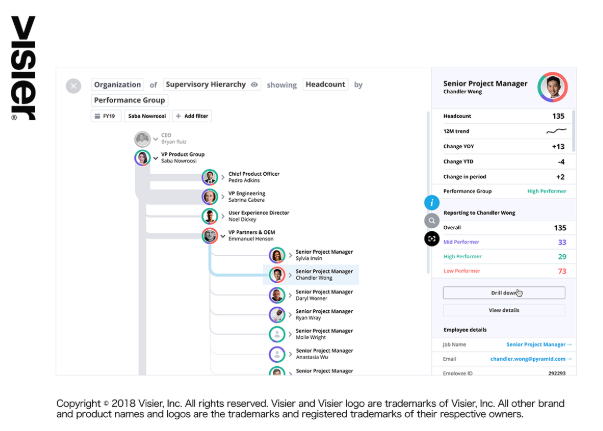 With this new visualization, Visier People customers can see who's managing who, how many, and how successfully by following the data trail down the management chain to discover the key contributors or problem-causers.